Upcoming Live Webinar: Click Here to Register! 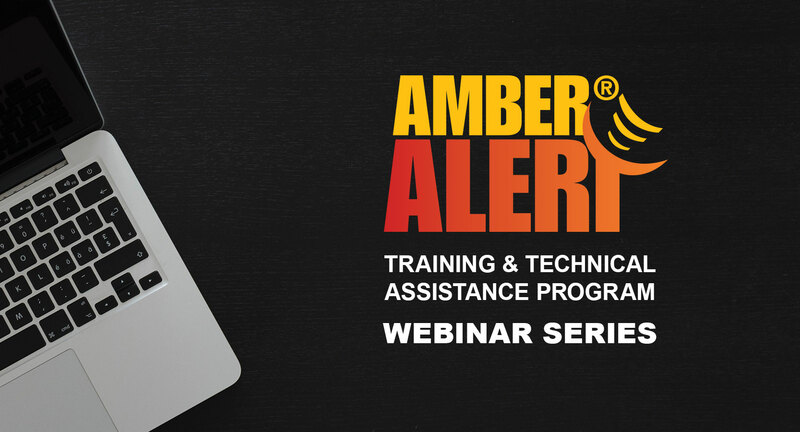 AMBER Alert's webinars bring together state, local, and tribal subject matter experts to present and discuss critical issues related to missing, abducted and sexually exploited children. Law enforcement and child protection professionals will benefit from information regarding important first response, investigative and multi-agency efforts to swiftly and effectively handle cases of missing and abducted children. To address the significant problem of human trafficking and child sexual exploitation, subject matter experts will identify prevalent types of victimization, risk factors for victimization and signs of possible exploitation among children. Presenters also include trafficking survivors and victim advocates who share their stories and perspectives on developing victim-centered responses in an effort to more effectively serve and support child victims. Through these webinars, AMBER Alert works to increase collaboration between state, local and tribal communities in combating the problems of missing, abducted and exploited children in order to develop strengthened agency and collaborative responses, and to effectively address the needs of victims.